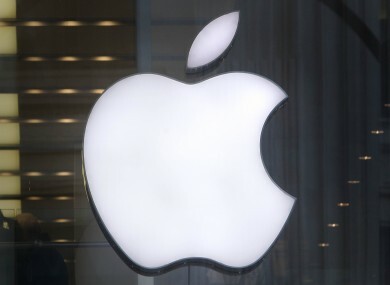 TECHNOLOGY GIANT APPLE has been accused of using Ireland as a tax haven by a US Senate Subcommittee. The multinational firm behind the iPhone and the iPad has reportedly avoided paying $44 (€34) billion in US taxes over the past four years by operating off-shore companies based in Hollyhill Industrial Estate in County Cork. This is the second time in less than two weeks that Ireland has become in embroiled in an international tax avoidance controversy. The UK parliament’s Public Accounts Committee accused internet search engine Google of “devious” use of Ireland’s corporate tax regulations to reduce its tax bill in Britain. According to the Senate investigation, led by Democrat Carl Levin and Republic John McCain, Apple negotiated a special two per cent tax rate in Ireland – far less than the State’s 12.5 per cent rate for companies. Apple, who employ 4,000 people in Ireland, has been asked to explain in the US how two Irish subsidiaries - Apple Operations International (AOI) and Apple Sales International (ASO) – pay little or no tax on profits in either country. AOI has not filed tax returns in any country over the past five years despite income of around $30 (€23) billion between 2009 and 2012, according to the Senate’s investigation. The company was set up here in the 1980s but is owned and controlled in the US by parent company Apple Inc.
ASI paid just $10 (€7.7) million in taxes on $22 (€17) billion profits in 2011 following a special tax deal agreed with the Irish Revenue Commissioner back in the early nineties. Apple is not accused of doing anything illegal and the firm released a statement denying it used “tax gimmicks” to lower its bill. It also claimed to be the highest payer of corporation tax in the US. Negotiating a tax rate of less than 2 per cent with the government of Ireland – significantly lower than that nation’s 12.5 per cent statutory rate – and using Ireland as the base for its extensive network of offshore subsidiaries. Additional reporting by Business Insider. Email “Ireland is Apple's 'Holy Grail of tax avoidance'”. Feedback on “Ireland is Apple's 'Holy Grail of tax avoidance'”.